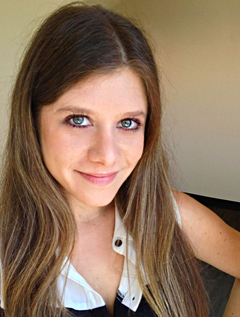 Romina Russell is a Los Angeles–based author who originally hails from Buenos Aires, Argentina. As a teen, Romina landed her first writing gig—"College She Wrote," a weekly Sunday column for the Miami Herald that was later picked up for national syndication. When she's not writing, Romina can be found producing movie trailers, taking photographs, or daydreaming about buying a new drum set.